There are so many ways people and cultures around the world brew coffee one can spend a lifetime trying to discover each of the various styles around the world without tasting them all. Marocchino coffee is one of such exotic and little-known ways of making coffee. However, to people in certain parts of Italy, there is nothing exotic or 'little known' about marocchino. Okay, it is likely you paused a bit when you saw Italy instead of Morocco, right? You are not alone if the first time you heard of it, you thought of the North African country of Morocco because of the similarities in name between the coffee and the country. However, it has a tenuous link to Morocco. Because the coffee drink is light brown, the good folks of Alessandria christened it Marocchino which is a type of brown leather peculiar to Morocco. So what exactly is Marocchino coffee and how does it taste? Is it possible to brew it at home? One of the unique features of marocchino coffee is that it is served in small glass cups. The coffee itself is a cocktail of espresso, hot chocolate, foamed milk, and cocoa powder. The chocolate goes into the glass cup first. For variety, or if you simply don't like chocolate, Nutella would do just fine. You could try both versions if you love both Nutella and chocolate. Nothing wrong in getting the best of both worlds. The espresso, usually a shot of it, is then added followed by foamed milk. The cocoa is sprinkled on top of the foamy milk. That is why all you need is cocoa powder and not the beverage made from it. By now, you must have guessed that this is a drink of about four layers. Not surprisingly, the taste is about those four layers: the foamed milk and espresso sandwiched between cocoa and chocolate at the top and bottom respectively. And it tastes very delicious. It is not too thick as the use of chocolate might suggest. And the frothy chocolate and coffee flavor gives it a distinctive taste that might be addictive. Since marocchino coffee is an espresso-based beverage, you'll need a good espresso machine to make one. So if you have the machine at home, you are good to go. However, if you don't have the espresso machine and don't have enough money to purchase one, you could get a Moka pot. This is a cheaper alternative and can be found be found in online stores. But you really do need the espresso machine to save time in making your foam milk. Also, it is recommended to use a medium to dark whole coffee beans and grind them yourself at home with your grinder. Pre-ground coffee is unlikely to give you the right grind size; besides it's difficult to get it fresh. Make hot chocolate in your pitcher. Then pour it into the small serving glass. Get your espresso machine ready. Flush it first if you haven't used it for some time. 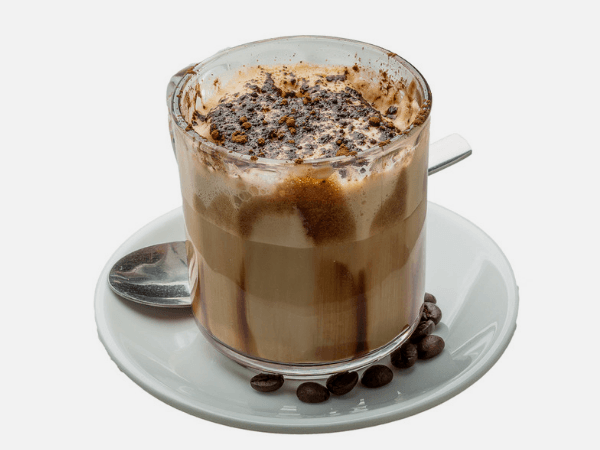 This eliminates the possibility of some strange taste or flavor appearing in your Marocchino. 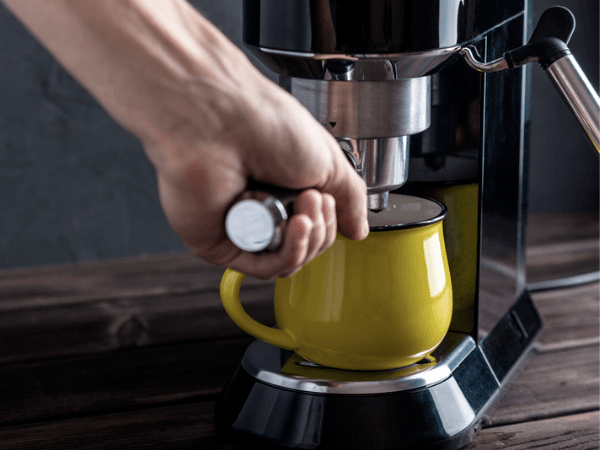 Use your freshly ground coffee to start making the espresso. Allow the coffee to percolate for about 30 seconds to get the right flavors from the coffee. After 30 seconds, open up tap of your espresso machine and allow the brew (1 shot, remember?) to flow into the serving glass containing your hot chocolate (As already stated, if you don't have or dislike chocolate, Nutella is a good substitute for it). Now froth your fresh milk. Frothing milk is easy if you have an espresso machine (Simply purge the steam wand of any water first before you start frothing the milk. Your milk should be in a pitcher of course). Next, pour the milk foam into your serving glass containing the chocolate and espresso. Stop pouring when it gets to the rim of the glass. After, liberally sprinkle the cocoa powder all over the top of the foam. Now, for the best part, raise your glass to your lips and savor the rich, layered deliciousness of marocchino. Tip: After drinking marocchino, especially if it's your first time, you might want to clean the tip of your nose. It is common for some of the foam and cocoa chippings to get stuck there. So before going out after drinking your beverage use a mirror to check there are no telltale signs of cocoa and cream on your face. If there is no mirror around, use your smartphone selfie camera to examine your face. Fun fact: A similar drink to marocchino is known as Catalana. But instead of chocolate, cinnamon is used. You could try that too and see how it tastes. There you have it, a simple guide on everything Marocchino. Some coffee addicts prefer this to other forms of coffee. 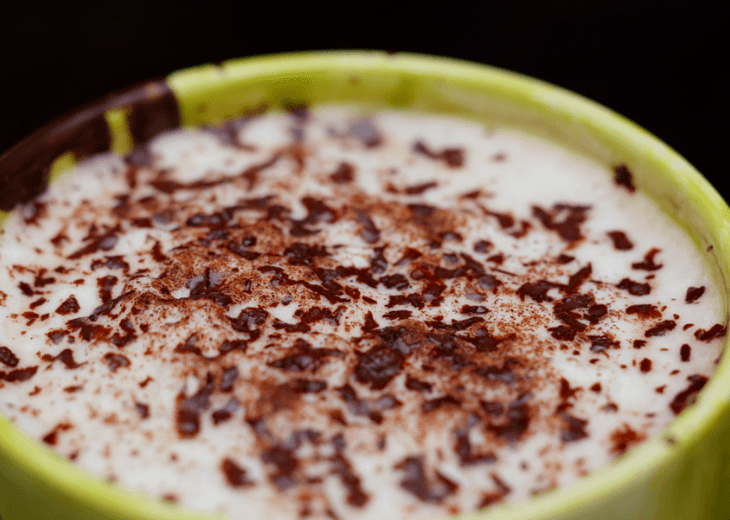 For some, the cappuccino is too milky, and their innards could start acting up because of their intolerance to lactose. Others don't like the espresso because it is rather light and goes down too quickly especially if they love savoring their drink a bit before swallowing. The marocchino, therefore, sits comfortably between espresso and cappuccino. 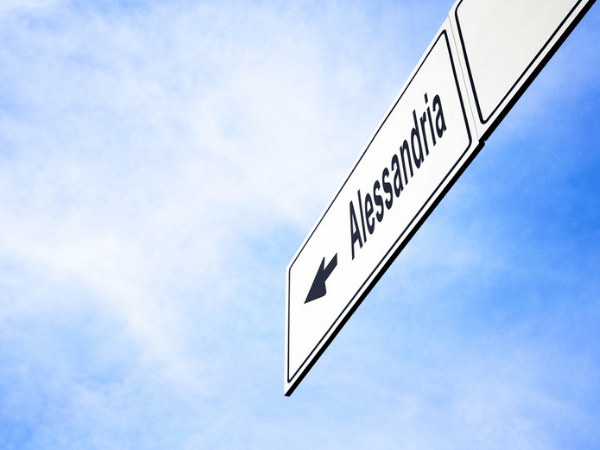 So go ahead a try it and let us know what you think about this Alessandrian beverage. About the Author: “I see the beauty in early Sunday morning, all kinds of mornings, actually, with a cup of coffee in my hand. As a coffee nerd myself I want to introduce the rest of us with this beautiful culture, too. Editor and writer at https://coffeforus.com."